Media Storehouse... "The Site To Be Seen On"
Established in 2003, originally in partnership with Fuji Film, we now support over 150 major clients including Premier football clubs, press agencies, museums, BAPLA members, charities, newspapers, magazines, government departments and much much more. 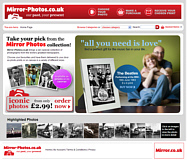 Simply upload images to your personalised store where images can instantly become available for sale. Our team can meet most requirements, with global distribution and production facilities in most continents. 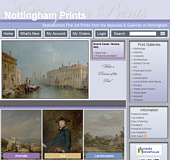 This is our comprehensive online outlet for prints in the consumer products market. We offer a customised front end, which mirrors your own site offering prints, framed prints, canvasses, creative gifts and much more. 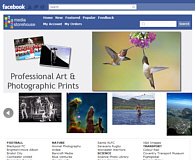 This offers you a low risk and easy to implement way of earning additional revenue from images. Manage, market, and distribute your digital assets in a business to business environment. Make your digital assets immediately available to customers via ftp, http, etc. Featuring full integration with our consumer service, you can offer any combination of consumer and business services with one simple upload.